It chronicles the story of a stuffed rabbit and his desire to become real, through the love of his owner.A stuffed rabbit sewn from velveteen is given as a Christmas present to a small boy. The boy plays with his other new presents and forgets the velveteen rabbit for a time. 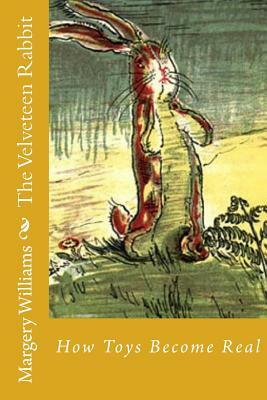 These presents are modern and mechanical, and they snub the old-fashioned velveteen rabbit. The wisest and oldest toy, the Skin Horse, tells the rabbit about toys magically becoming Real due to love from children...The book has a page to dedicate to your child (To: _____, From_____). If you like this book personalized to your child's name please send an email with the child name or any special dedication and you will be provided with a link to buy the book in amazon (please specify if amazon.com, amazon.es, amazon.uk, etc.). Please check spelling as it will spelled as received. That book will be priced at $24.99 plus shipping. and take will take about 10 days to be ready.Send email to menenbea@gmail.com.